We are delighted to welcome new Client Manager, Ivy James to our team. 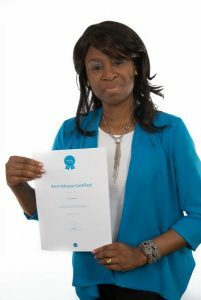 She had hardly walked through the door when she was tasked with completing her Xero Advisor Certification training. Congratulations on your latest certificate Ivy. We are proud to say that everyone who looks after our clients is Xero certified and it enables us to be confident in our expertise in this ‘beautiful accounting software’. Evans & Partners are the leading Xero Platinum Partner in the South-west.